There’s a moment of pure joy whenever you use your favorite pen and an eventual moment of deep despair when said pen eventually runs out of ink. 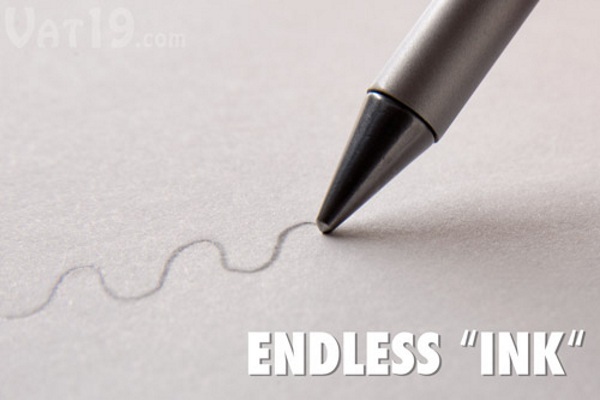 With the Inkless Metal Beta Pen, you’ll never run out of ink, because there isn’t any. This pen writes sort of like a pencil but doesn’t ever need to be sharpened. 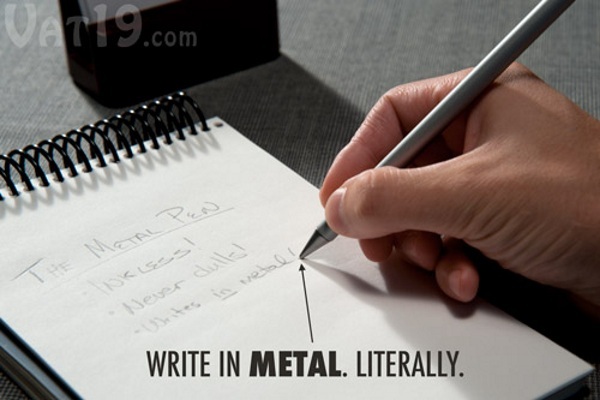 It is made from a special metal alloy and as you write, it leaves behind a silvery line made from small bits of metal. It’s a sort of marriage between both pen and pencils. It never needs to be sharpened and the lines it makes do not run or smudge which is a problem with both pens and pencils. This is a full size writing utensil that comes in silver, black, or a cherry wood barrel to make it seem more like writing with normal pencil. This is not for kids and don’t stick the tip in your mouth because there are teeny, tiny traces of lead. The Inkless Metal Beta Pen is $29.99.